Provides motel vouchers, security deposit, and first month's rent in Monroe, Vernon, and Crawford counties. Eviction prevention assistance is available in Vernon and Crawford counties only. Tenants must be homeless or in danger of being evicted for lack of guidelines of at or below 30% County Median Income in order to qualify for assistance. Funds for this program are provided by the State of Wisconsin Bureau of Supportive Housing, and types of assistance vary by county. 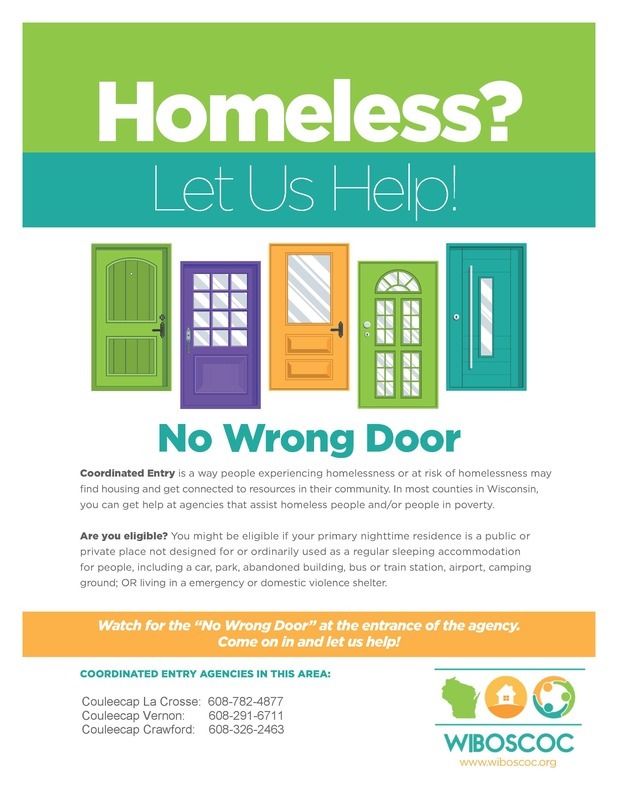 ​La Crosse County: Couleecap does not operate a Homeless Prevention Program in La Crosse County.